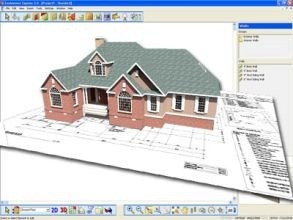 3D Building Design Software: Envisioneer Express is the easiest to use residential design program available. Specifically designed to introduce clients to the simple creation of floor plans, 3D models, and interior design concepts. Envisioneer Express uses real world objects such as walls, doors, windows and stairs to make creative designs fast and easy.